The Trestle Trail, above Blackie’s Pasture, will connect us to this area’s railroad history. It will be a place for reflection and recreation by providing a short hike to the 130-year-old trestle timbers while offering rare views of the Tiburon Peninsula and Richardson Bay. To begin in early 2017. 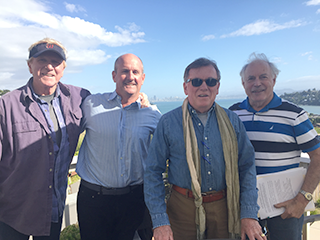 Jim Wood has been presented with the Heritage & Arts Commission’s 21st Annual Historic Preservation Award for excellence in safeguarding the Tiburon Peninsula’s treasures and promoting public awareness of historic preservation, including the Trestle Trail project. Congratulations Jim! 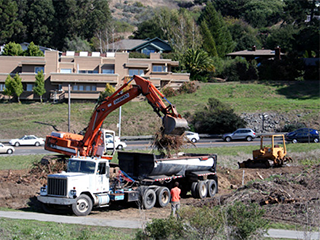 Be a Part of Tiburon History! 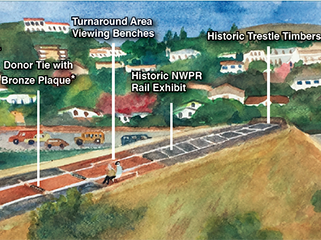 Help make the Trestle Trail a reality and procure your place in Tiburon history by purchasing a redwood “Donor Tie” and/or a special Railroad spike.